This triple layer necklace features a set that is fabulous worn separately or together! 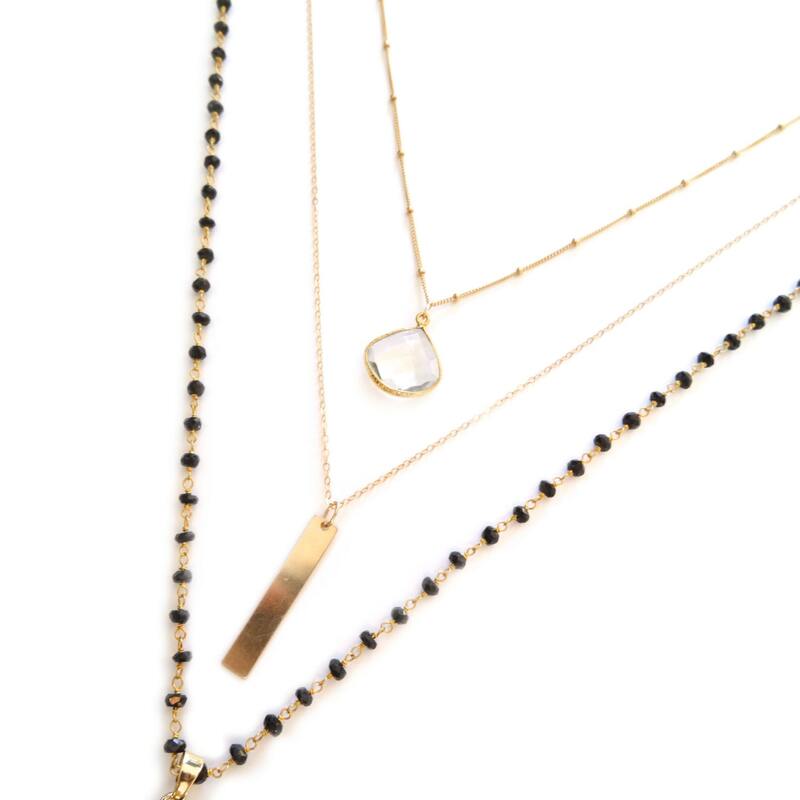 The top layer consists of a simple framed quartz on a gold filled chain. 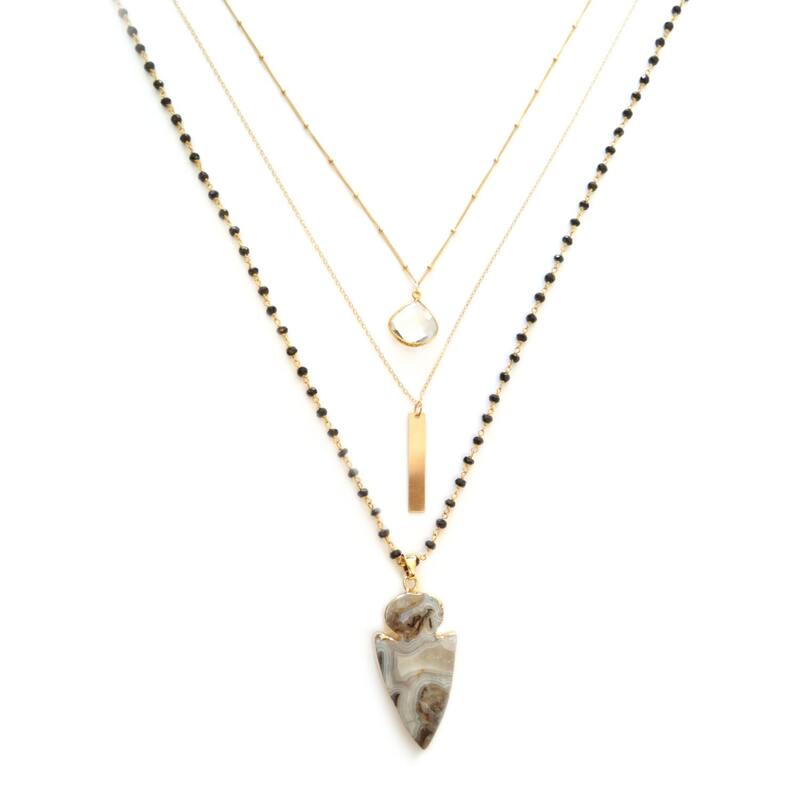 The second layer features a polished, vertical, gold-filled bar, and the bottom layer features an agate arrowhead framed in gold on black spinel rosary chain. You can wear this with anything, and it's still a conversation piece! This was a gift so I didn't see it but my sister LOVES it. Shipped on time. Very good experience.